Save world from makeup plastic waste and show example to other brands to do the same. 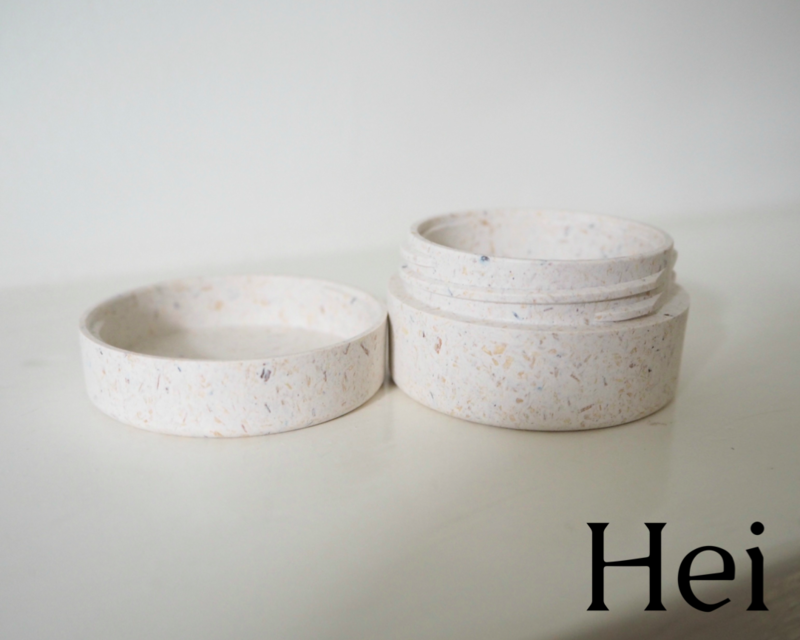 Our makeup packaging is 100% Biodegradable! 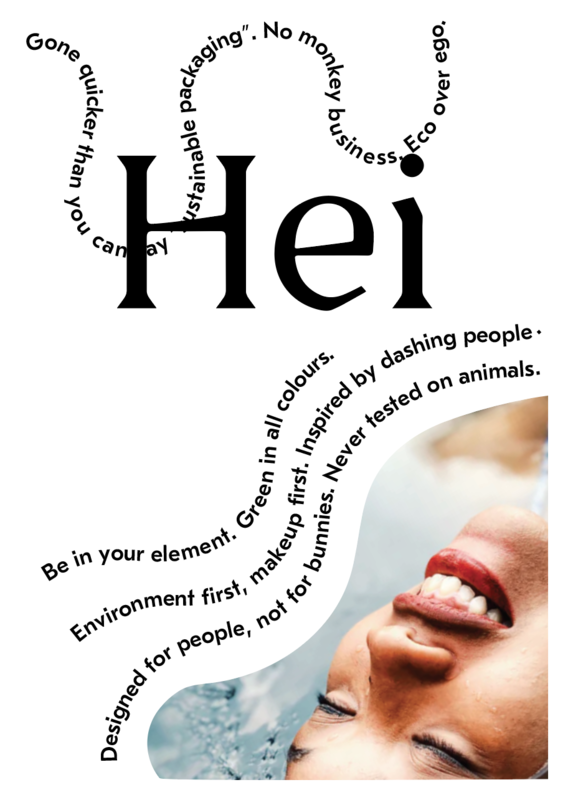 Hei Cosmetics is new makeup brand that is specialised for ecological makeup. What makes us so unique is that our makeup is packed to 100% Biodegradable packaging that contains 0% micro plastics. So basically our makeup can be thrown away straight away to the compost, or burn it or recycle it. 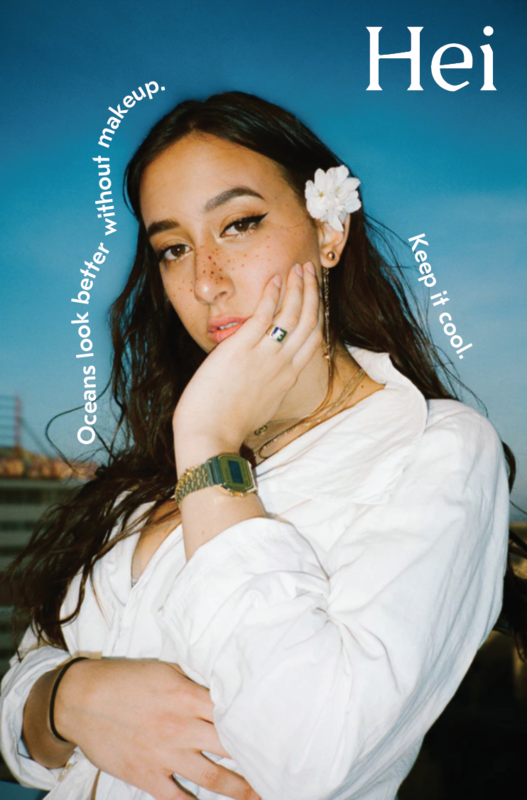 It is safe to the oceans, animals and people. No more plastic waste from cosmetics is our mission. We wanna show example to other brands to do the same. If we grow, then we are potential competitor to big brands and they start to think this as well. We want that in the future all brands are using biodegradable packaging. Hei is at the moment in early state. Our branding, logo designing, package designing etc. is just started. Production is planned to start in 2-4 months. - Our packaging is made from renewable and sustainable raw materials. - Our natural makeup is vegan, cruelty free and does not include micro plastics. - Our makeup is made for everyone. That is why it is also Gluten free and Halal. 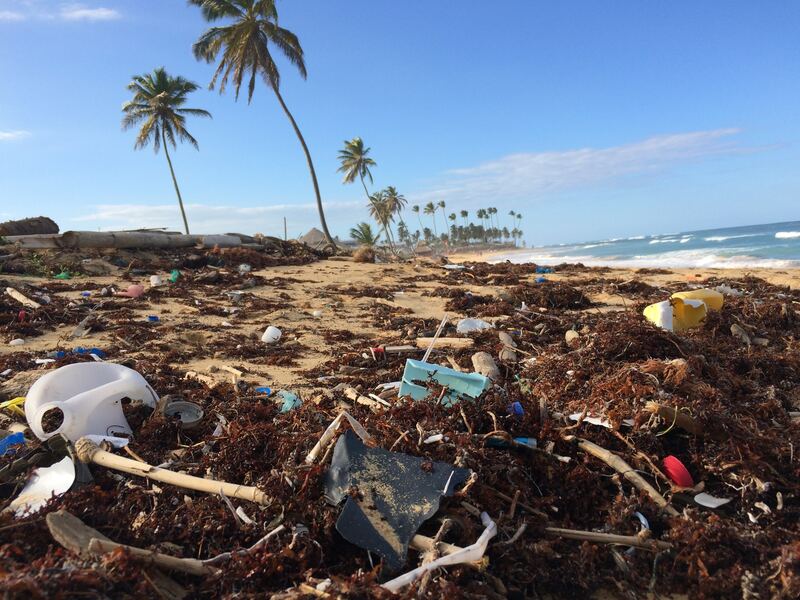 - The likelihood of coral becoming diseased increases from 4% to 89% after coming in contact with marine plastic. It also damages the skin of coral, allowing infection. Coral reefs are home to more than 25% of marine life. After this project we are ready to start our first series of production and then launch our first products. First we are launching 20 shades of loose eyeshadows. And then grow our business product by product. Our plan is to be next big thing in cosmetic industry and show to the whole world that there is alternatives for plastic packaging. No one wants micro plastics in their body and no one wants to read news about animals dying after eating plastic! If you support us you support the movement to non plastic cosmetic industry. We don´t need plastic and we are gonna show that to whole industry! Thank you for helping us! Your name will be honoured in our website. We are gonna create list of people that helped us in beginning of our journey. Thank you for helping us! Your name will be honoured in our website. We are gonna create list of people that helped us in beginning of our journey. You will also receive certificate by mail that you helped us. Thank you for helping us! We will name one of our makeup product colours after you. For example dark brown eyeshadow shade will hold your name. This is how your help will always remain in our products and you will always have makeup product named after you.